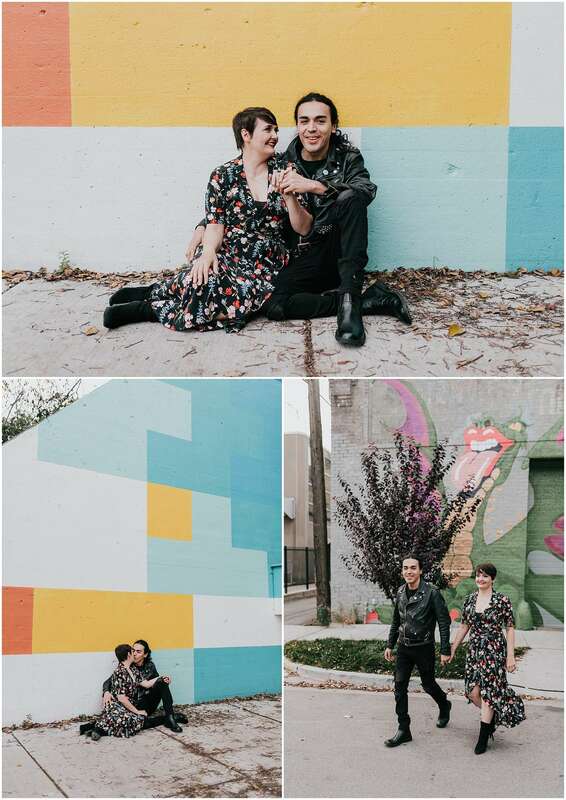 Adriana and José met at an art gallery and instantly became great friends. It wasn’t until a few years later that they began to date and have been together ever since! 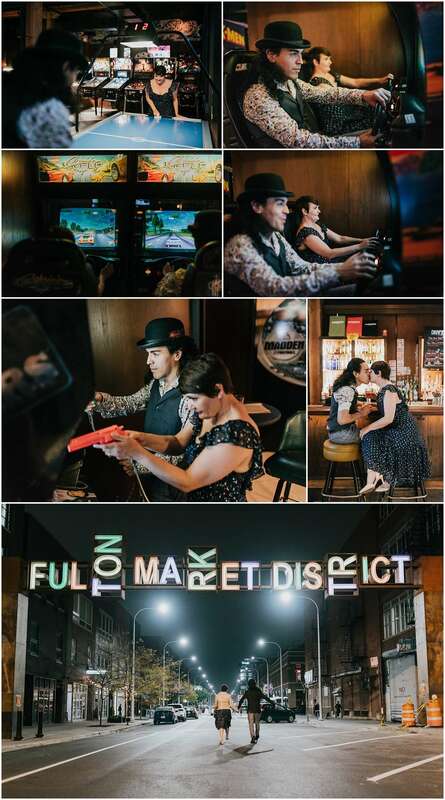 Their first date was at Emporium Arcade Bar, so for their session, we decided to help them relive their first date and what brought them together. I love the colorful murals in Fulton Market along Hubbard Street. Even some of the restaurants in the area have interesting art on their buildings. We used those elements for a fun, vibrant backdrop. Then we hung out at Emporium and grabbed some beer and played arcade games. 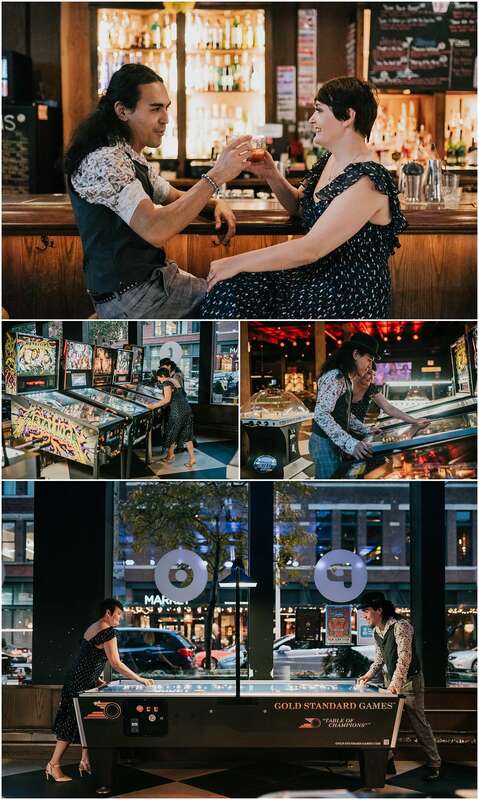 Adriana + José are so fun and I loved how natural they were with each other. The way José looks at Adriana is basically how I look at pizza. At that moment, there’s nothing else in the world matters. I’m so looking forward to photographing their wedding next year!